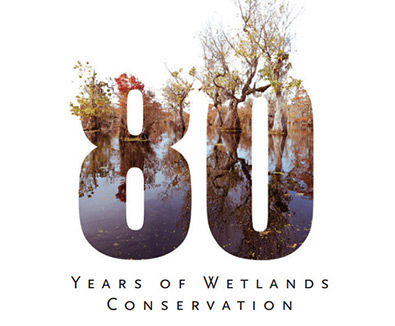 Team DU is celebrating 80 years of conservation. We are applauding eight decades of conserving wetlands and associated habitats for North America's waterfowl, mindful that these habitats also benefit other wildlife and people. January 29, 2017, marked Ducks Unlimited's 80th anniversary. DU was founded by a small group of sportsmen on a mission to save the continent's waterfowl and waterfowling traditions amid the tumult of the Great Depression and one of the worst droughts in history. Reaching our 80th anniversary wouldn't have been possible without the dedication of our volunteers and supporters, as well as the many partners who have helped us succeed. Thanks to you, fiscal year 2017 (FY17) was another exceptional year for Ducks Unlimited. We continue to set the standard for all habitat conservation organizations, and it's all because of your commitment to our mission. FY17 marked the seventh consecutive year in which we surpassed our budget goals, with total revenues approaching $224 million. More than 58,000 DU volunteers hosted over 577,000 attendees at 4,050 events in FY17. Some 5,000 major donors and 700,000 members contributed over $86 million in philanthropic revenue—$1.8 million more than last year. View and download the full Ducks Unlimited Annual Report in PDF format to read more about our many achievements and success stories in FY17. For 80 years, Ducks Unlimited has put those conservation dollars to work for wetlands and waterfowl. Each year, our goal is to dedicate at least 80 cents of each dollar that we spend to conservation. We met that goal again in FY17, with 83 percent of expenditures going toward our mission. In FY17, Team DU conserved more than 248,000 acres, bringing our cumulative total to over 14 million acres conserved since DU was founded in 1937! We have come a long way from our humble beginnings. DU's efforts, including the current Rescue Our Wetlands campaign, are funded by supporters and partners who share our conservation goals. 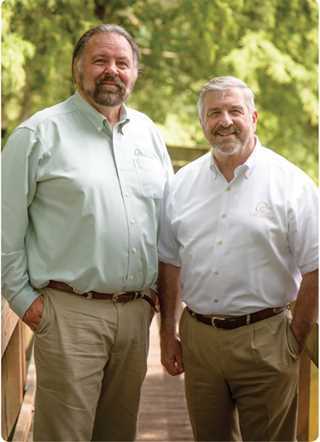 Significant support also comes from advertising, licensing agreements, and royalties generated through the power of the Ducks Unlimited brand. One special partner, ConocoPhillips, a multinational energy corporation headquartered in Houston, received the inaugural Ducks Unlimited Corporate Conservation Achievement Award at DU's 80th annual convention in San Antonio. This award recognizes corporations from the United States, Canada, and Mexico for their exceptional contributions to conservation in North America. ConocoPhillips was given the award for its conservation work on the Gulf Coast. Our partnership with Bass Pro Shops (BPS) continued in FY17. Each year since 2013, this vital partner has promoted DU to millions of racing fans by featuring our brand on their BPS Chevrolet at NASCAR's Coke Zero 400 in Daytona, Florida. In August 2016, Ducks Unlimited and Axalta Coating Systems celebrated the first full year of a five-year conservation partnership that has led to enhanced wetland habitats for waterfowl, wildlife, and communities across the United States and Mexico. Our goal for the ongoing Rescue Our Wetlands campaign is to raise $2 billion for wetlands conservation by December 2018. When we achieve our goal, DU will have successfully completed the largest wetlands and waterfowl campaign in history. We are almost there. When FY17 ended in June, Rescue Our Wetlands had already raised $1.82 billion. Major Sponsors have chosen to make an immediate and significant impact on wetlands conservation today through their support of Ducks Unlimited's mission. FY17 was another successful year for Ducks Unlimited in Washington, D.C., as well. Our policy team moved to a new office location, and DU staff and volunteers advocated for continued support of the North American Wetlands Conservation Act (NAWCA) as well as the conservation provisions in the upcoming Farm Bill. We thank Congress and the president for recognizing the importance of conservation provisions benefiting sportsmen and women around the country in the omnibus spending package passed in FY17. Ensuring that programs like NAWCA and the Great Lakes Restoration Initiative receive adequate funding helps provide wildlife with the habitat they need and deserve. These investments also help provide clean, abundant water and other vital resources. These are only a few of our FY17 success stories. You will read more about these and many other FY17 achievements (in our full report). Thank you for your unwavering commitment to Rescue Our Wetlands, Ducks Unlimited, and our mission to conserve North America's wetlands for the benefit of waterfowl, other wildlife, and the people who cherish them. Here's to the next 80 years of filling the skies with waterfowl. Keep up the great work!